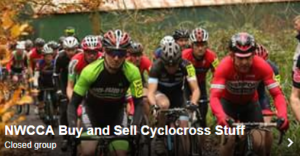 A firm and fast course coupled with brilliant winter sunshine set the scene for a fantastic days racing at South Park in Macclesfield for the Cyclestore Supacross. In the Seniors race a healthy field of 60 riders took to the grid. Joining the usual NW contenders were Ian Bibby (Madison Genesis), Keith Murray, Nick Craig, Son Thomas Craig (all Pioneer Scott) and last years winner David Fletcher(Orange Monkey Pro), who had won the previous day at Thornbridge, Bakewell (NDCXL). From the whistle however it was Macclesfield Wheelers Matt Lawton who catapulted off the line to lead the pack around the first half lap. Emerging from the back of the course it was Fletcher who took control with Jack Clarkson (Hope Factory) and Bibby taking a slight lead over chasing trio Craig Senior, Thomas Junior and Adam Martin (Metalek) right behind. Fletcher relented the pace making to Clarkson who was happy to take on the lead mid point. Bibby was ever present just hanging back. The last quarter saw Clarkson begin to tire and Fletcher and Bibby forged ahead alone. Finally showing his hand Bibby put in a firm attack with a lap to go and, never looking in any discomfort, took a fine victory. Fletcher and Clarkson remained Second and Third. Nick Craig came home fourth a position he held all race. Giles Drake was the first NW regular home in ninth having kept Thomas Craig (7th) company for the best part of the race. In the Vets/Womens race 84 riders started with no less than 14 ladies racing. Visiting racers were Matt Denby (Jewson) from Yorkshire and Dan Alexander (Zepnat) who usually contests the NDCXL. It was Alexander and team mate league leader Pete Middleton along with Adrian Lawrence (Team Elite) who opened up a 15 second lead by the start of the second lap. There was no challenge to this trio and all three worked well to the end. With the two Zepnat riders for company Lawrence was perhaps always the underdog and having to constantly check the spurts and feints of Alexander and Middleton. As it was Middleton ran out winner, with Alexander second and Lawrence third. Further back Jerrod Hartley (Horwich) was fourth with the impressive Over 50 Mick Style (Manchester Wheelers) finishing Fifth. Sean Beswick was ninth and therefore easily secured the Team Prize for Zepnat. In the Womens race visiting rider Diane Lee (Mule Bar Girl) took the honours finishing in a very respectable 15th place. League leader Rebecca Preece (Contessa/Scott/Syncros) showing great form ahead of the Nationals was just behind in 17th. Nicola Butler (VC St Raphael) was third in 24th. The Youth race was contested by 29 riders and had an exciting conclusion with a sprint finish between Adam Hartley (Velocity RT) and Ewan Grivell Mellor (Mid Shropshire Wheelers), Hartley winning by a length. Harry Yates (Lichfield RC) was third. First Girl home was Charlotte Broughton (MG Decor) in 10th place. First Under 14 Boy was Craig Rogers (Birkenhead North End CC) who was fourth overall. First Under 14 Girl was Nicole Clarke (Birkenhead North End CC). The under 12’s was won by Matti Eggleston (Beacon Wheelers) with first girl going to Eve Barrow (Salt Ayre Cog Set) in 11th place. Winner in the Under 10’s was Scott Asher (Furness Future Flyers) and first girl home was Erin Corrigan (Bolton Hot Wheels) in 12th place.